Aberdonian children, just like any other child, love to write to Santa. Many shops and stores around the local area have a box where your child can send a letter to Father Christmas. Stores doing this often include Asda. Unfortunately your child will not receive a letter back from Santa. 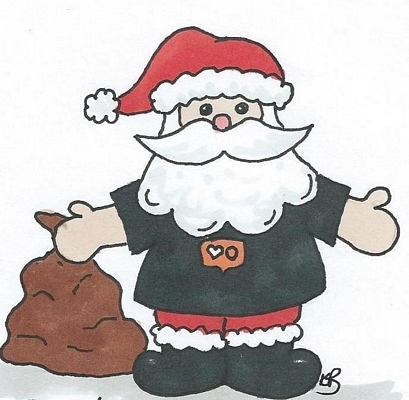 However Santa.co.uk offers personalised letters from Santa for children and for fun loving adults throughout the UK. Santa.co.uk can contact your child with a Santa Phone Call which is live to your child and pre-recorded by Santa Claus. Alternatively Santa can send your child a personalised mobile phone text message which he calls a Merry Textmas. These can even be sent on Christmas Day or any day prior to this. Santa.co.uk also have 4 various versions of A Letter from Santa � The Classic, The Special (which comes with a cute teddy and chocolates) , The Snow Letter (which is delivered with a beautiful souvenir tin containing Santa�s Magic Snow) and the Santa Letter Deluxe (this is a combination of all 3). They cost from �3.99 through to �16.98. Santa will make up to 12 personal references on each of the letters and will include a Christmas Eve bedroom door hanger. There are discounts available to people buying 2 or more letters. The envelopes and gifts arrive with a �Mailed from the North Pole� motif for that extra Santa believability and at parental discretion, Santa will even include a unique password to his Top Secret website. Some Father Christmas letters includes a selection of free chocolate coins. Customers can also upgrade to the superior letter from Santa which not only contains the free chocolates but also has a beautiful, fully personalised present sack to hang up on Christmas Eve. This costs just �7.50 for the whole package. Letters from Santa are delivered free within the UK. See an example of the Santa letter by clicking here (link returning soon). Personalised letter from Father Christmas which includes their name, the gifts they want this year and other personal information that only Father Christmas could know! This creates a magical moment and a treasured family keepsake for your child. The envelope displays a wonderful traditional image of Father Christmas, creating a sparkle of anticipation as Xmas approaches. A specially printed stamp to show that it has come all the way from Lapland. Signed personally from Santa Claus. A customised Post Script written just for your child. You can choose from four letter styles which is handy if you have more than one child - each one will receive their own personalised version from Santa. The letters are high quality traditional images which are printed on premium Conqueror paper to create a treasured keepsake for years to come. You get a money back guarantee, so if you are not delighted with your purchase then Santas Letter will refund your money under their no-quibble guarantee. Your personalised letters will be delivered mid December, just in time to help your child's excitement with the build up to Christmas. Buy or for more information. Use discount code Blitzen to save �1. More Christmas gift ideas and events in and around Aberdeen, Scotland. Anyone writing to Santa Claus are asked to add a first or second class stamp. There are several sources locally where children can post a letter to Santa in Aberdeen. For example Dobbies Garden Centre Aberdeen have their popular Santa�s Post Box throughout December. These make their way to the North Pole post box and when your children returns to Dobbies he or she will have had a reply.